Each player represents a specific hockey town and strives to win The Canadian City Challenge! 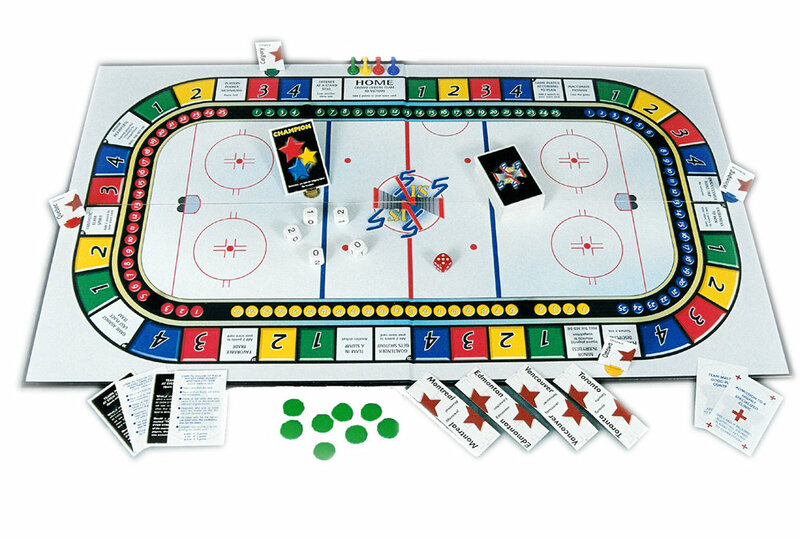 Players move markers around a board representing a hockey rink, draw cards containing hockey concepts and use dice to play hockey games against other Canadian City Teams. Players use dice to play hockey games againts other Canadian city teams. These dice are numbered 0, 1, 2. They represent the 5 hockey players on a city team. Rolling the dice determines the number of goals scored. Player from one team rolls the dice; player from opposing team does the same. This provides a new, competitive and interesting action. To represent a specific hockey town and win "The Canadian City Challenge!" 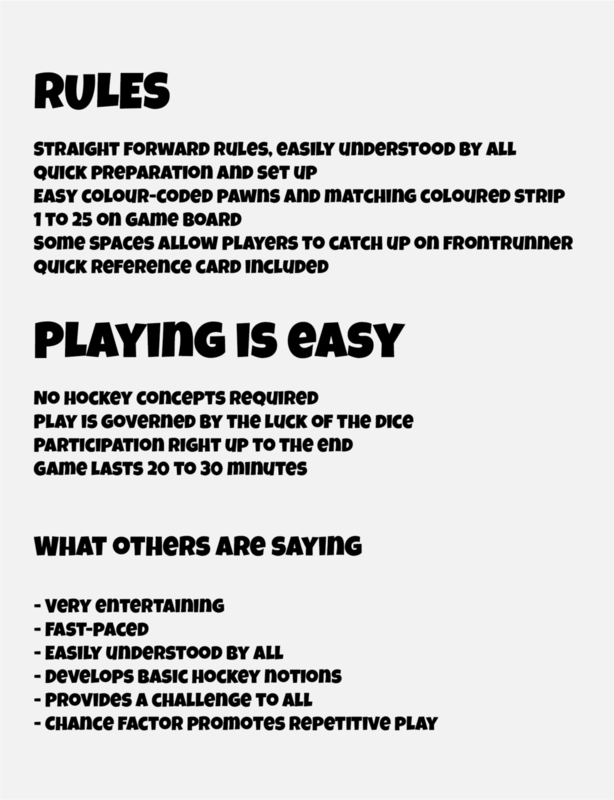 Various hockey situations are created during the game. Some cards allow players to score extra goals, while other cards simulate penalties or injuries. The cards may be positive or negative, offensive or defensive but they are all hockey related and a wonderful source of hockey knowledge.